With the coming of OWL, the Web will soon have a recommended ontology language, many ontology-based tools, a large number of reference ontologies, and a large user community interested in what ontologies are and how to use them. In fact, it's beginning to look like we may be successful enough that as researchers we must ask ourselves the question "Why are we doing this?" As ontology on the Web becomes part of the "practice" of Web life, and the logic toolkits are produced by software companies instead of AI labs, where do we in the research world go? Many are familiar with Tim Berners-Lee's "layer cake" (or more recently the "Semantic Wave") which suggests moving to rules and proofs, but that's just the "language" stack. Time for us to think more about what we do with all this, how we explore the new ideas emerging from the pursuit and, perhaps most importantly of all, whether this Semantic Web stuff brings with it any insights into the most seminal scientific problem of all -- our quest to understand human intelligence. Jim Hendler is a cochair of the W3C Web Ontology Working Group, a member of the W3C Semantic Web Coordination Group, and the Director of Semantic Web and Agent Technologies for the University of Maryland's MIND Laboratory. His work in the area of the Semantic Web goes back a number of years: his research group developed SHOE, the first web ontology language, he was the creator of DARPA's DAML program and helped to create and participate in the joint committee that created DAML+OIL. He was the coauthor, along with Tim Berners-Lee and Ora Lassila, of the widely cited "Semantic Web" article in Scientific American, and his paper "Is there an Intelligent Agent in Your Future" (Nature, 1999) was the recipient of the 1999 AAAI Expository Paper Award. Hendler was also the Conference Chair for the first International Semantic Web Conference, is one of the vice presidents of the Semantic Web Science Association, chairs the International Advisory Board for the Web Semantics Journal, and generally tries to be around wherever the fun stuff is happening in the Semantic Web world. Web Services appear to be the basis for the Next Generation of computing in which rigid, non-interoperable, monolithic, legacy applications bound within organizational boundaries are replaced by E-Services - flexible services that can be discovered and invoked anywhere on the World Wide Web and composed, as required, to achieve higher level goals. Web Services are proposed to address software integration - the largest cost component in Information Technology. But Web Services are plumbing - inexpensive remote invocation. The E-Services vision requires Semantic Web Services to enable discovery, composition, and integration. But this is techie talk. Neither Web Services nor Semantic Web Services are or should be goals. What really matters is a grander vision - flexible, cost effective E-services that substantially overcome the integration challenge on an industrial scale. As with previous attempts at similar goals, such as the heroic journey to relational databases and the less than heroic treks to distributed object computing, economics, business aspects, and technical pragmatics such as scalability and performance dominate mere plumbing. This talk investigates the pragmatic challenges on the long and winding road to realizing the vision of truly interoperable applications based on cost effective, flexible integration through the land of Semantic Web Services. What will it take for Web Services to avoid Silver Bullet status in the annals of computing? Reference: M.L. Brodie, Illuminating the Dark Side of Web Services, in J. C. Freytag et al. (eds. ), Proc of 29th VLDB Conference, Berlin, September 2003. Dr. Michael L. Brodie is Chief Scientist, Verizon Information Technology. Dr. Brodie works on large-scale strategic Information Technology (IT) challenges for Verizon Communications Corporation's senior executives. His primary interest is in the optimal use of IT, with an emphasis on emerging and advanced technologies and practices, to enable organizational and business objectives, including organizational change. In addition to Computer Science he has investigated the relationships between economics, business, and technology. His long-term industrial research focus is on advanced computational models and architectures and the large-scale information systems that they support. He is concerned with the Big Picture, business and technical contexts, core technologies, and "integration" within in a large scale, operational telecommunications environment. Dr. Brodie has an active interest in advances in eBusiness, cooperative information systems, interoperability, information systems, databases, infrastructure and application architectures, legacy systems migration, business processes, experimental or domain-driven computer science, and the effective evaluation and deployment of advance IT solutions. 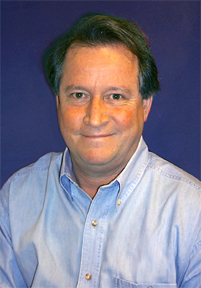 Dr. Brodie has authored over 150 books, chapters, journal articles, and conference papers. He has presented keynote talks, invited lectures, and short courses on many topics in over thirty countries. He is a member of the Board of six research foundations including the VLDB (Very Large Databases) Endowment (1992 - present), is on the editorial board of several research journals. Tim Berners-Lee: Semantic Web: Where to direct our energy? As a powerful melding of WWW and KR and related technologies, the semantic web is such a wide, all-encompassing notion that it is not obvious to its proponents where to direct their energy. Which parts of the roadmap will need encouragement, which will be eagerly funded and developed anyway? Which need more research, and which just need standards work to become ubiquitous? Are there areas which could come off the rails and derail the whole design if we get them wrong? In this talk, I will present choices that face researchers and practitioners and discuss a conceptual roadmap of the most exciting and useful prospects. A graduate of Oxford University, England, Tim now holds the 3Com Founders chair at the Laboratory for Computer Science and Artificial Intelligence (CSAIL) at the Massachusetts Institute of Technology (MIT). He directs the World Wide Web Consortium, an open forum of companies and organizations with the mission to lead the Web to its full potential. With a background of system design in real-time communications and text processing software development, in 1989 he invented the World Wide Web, an internet-based hypermedia initiative for global information sharing. while working at CERN, the European Particle Physics Laboratory. He wrote the first web client (browser-editor) and server in 1990. Before coming to CERN, Tim worked with Image Computer Systems, of Ferndown, Dorset, England and before that a principal engineer with Plessey Telecommunications, in Poole, England.